Brain Corp, a San Diego-based software technology company, has entered into a relationship with Walmart to provide AI services. 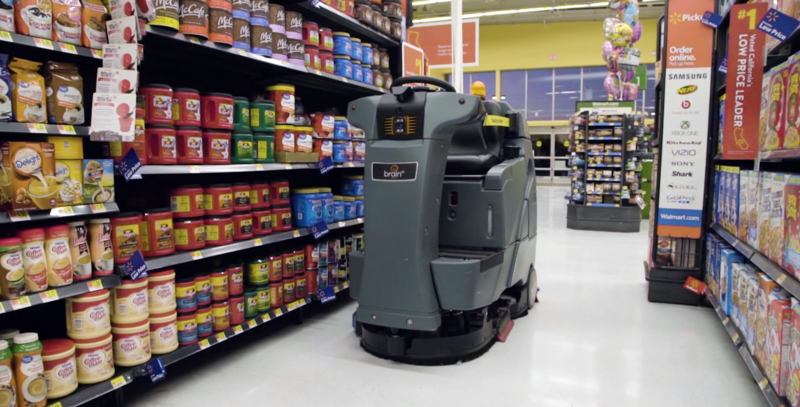 Brain Corp’s BrainOS platform currently automates more than a hundred of Walmart’s fleet of commercial floor scrubbers across the United States, said the company in a statement. The platform provides the machines with autonomous navigation and data collection capabilities,tied into a cloud-based reporting system. Walmart expects to have 360 robots powered by BrainOS in stores by the end of its fiscal year, January 31, 2019, says Brain Corp.